I’ve loved this dark fantasy series from book one. And those covers – oof. Stunning. 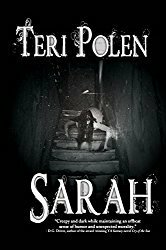 This author continues to throw in unexpected surprises, whether with plot twists or character traits. I’d fully intended to dislike Katharine after the events that occurred in One Dark Throne, but she honestly seems to have some good intentions in this book. Not all good. But some. And the ending? Just one surprise after another. I’m glad it took me a few months to get around to reading this one, because that means I have a shorter wait for the next book. This was a longer read at over 450 pages, and although it may not have moved the story along quite as well as books 1 and 2, there are some major developments, and I got to spend a good amount of time with these characters. If dark fantasy with exquisite world-building is your thing, this is your series. This sounds really good, Teri. Glad you’ve enjoyed the series. The covers are stunning! Aren’t they? This has been a fantastic dark fantasy series – I also loved her Anna Dressed in Blood duology. Sooo good – with some flashes of humor and snark. I can see why you got sucked into this. It sounds quite intriguing! The author has become an auto-purchase for me, Mae. When a story is good, I prefer it long. (I feel like I’m getting a value.) And that cover really spoke to me, too. 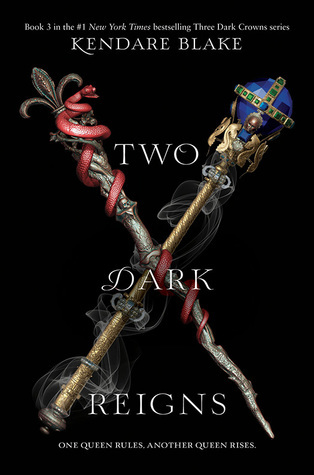 I love dark covers, and the two scepters, simple yet ornate, spoke to me. Or is one a dagger? Dang, I’m old. My eyesight is dreadful. Anyway, thanks for sharing. You’re not the only one, Staci. Had to take a picture of something with my phone the other day so I could enlarge it enough to read, lol! It’s been a fantastic series – twists, surprises, manipulation, deceit – all of the good stuff. It sounds like your really enjoyed this, Teri. 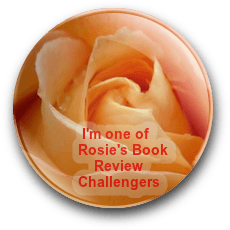 The whole series, Robbie – think there may be two more books before it ends? Also spawned a couple of novellas. Dark and complex. I do like complicated characters. Thanks for the review Teri, and the insights into the other 2 volumes. Have a great rest of the week. Hugs. So do I, Teagan – makes for a more compelling read, in my opinion. Hugs! Same here, Diana. Struggling to carve out reading time.